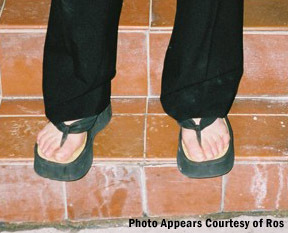 This item is a pair of Steve Madden flip flops that belonged to Gillian. Those who attended the play "What the Night is For" may have seen her wearing these outside the stage door. The flip flops are signed by Gillian Anderson and comes with a Certificate of Authenticity from the Official Gillian Anderson Website.